Dr. Allen Brings is Professor Emeritus at Queens College of the City University of New York. An annual ASCAP award winner for his compositions, he has performed frequently in the United States and Europe in concerts of music for piano, four-hands, with Genevieve Brings. Dr. Genevieve Brings has made many appearances both as soloist and chamber player in this country, Europe, and Asia. She has recorded for Centaur, CRI, Capstone, and Orion. She holds a doctorate in musicology from Columbia University and is Professor Emeritus of Music at the C.W. Post campus of Long Island University. In 1988 she was cited as an Outstanding Connecticut Woman by the United Nations Association of the United States of America. Mr. Grabois has a varied career as chamber musician, soloist, teacher and recording artist and is the founder of the record label Reflex Editions, about whose first recording the Philadelphia Inquirer wrote, “Sometimes, the way he plays with the sound of a single note has enough emotional sustenance in it to launch a half-dozen distinct feelings in quick succession.” A second disc with violinist, Deborah Wong, DUOS: Martinu, Ravel, Kodaly, was subsequently released to critical acclaim. 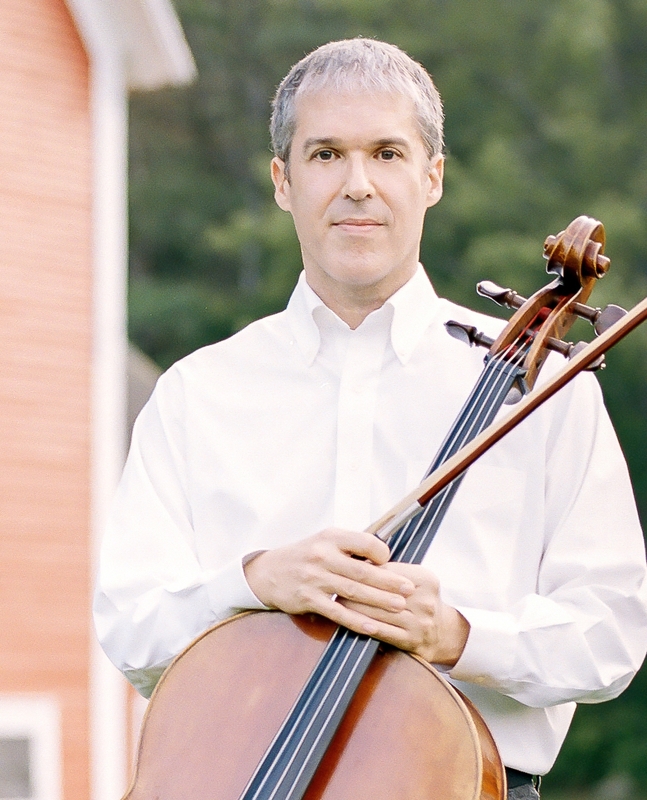 He is the cellist of the New York Chamber Soloists with whom he performs throughout the country. Mr. Grabois is on the faculty of Kinhaven Music School in Vermont, where he performs and teaches cello and chamber music. He is the director of the Kinhaven Young Artist Seminar. Mr. Grabois was educated at Swarthmore College and studied with David Finckel. He has been on the faculty of the Weston Music Center since 2003. Mr. Lewis is a graduate of Carnegie Mellon University, where he majored in piano and minored in organ. At the Conservatoire Américaine in Fontainebleau, France, he studied piano with Jean Casadesus and conducting with Nadia Boulanger. He directed choirs and taught keyboard and electronic music at West Rocks Middle School in Norwalk for 37 years and has been Director of Music at Emmanuel Episcopal Church in Weston since 1978. Wei Tan holds Bachelors and Masters degrees in Music from the Manhattan School of Music. As a soloist and chamber musician, Ms. Tan has performed regularly in the United States as well as in China. She made her New York debut at Weill Recital Hall of Carnegie Hall in 2002. Born into a family of musicians in Shanghai, Ms. Tan began her violin studies at the age of three with her father, Guo-Zhang Tan, and grandfather, Shu-Chen Tan, a renowned violinist, an influential educator, and Deputy Director of the Shanghai Conservatory of Music. She has earned numerous awards, beginning as a grant recipient of the Music for the World Foundation and the Blue Ridge Foundation, and continuing as a winner of the Lillian Fuchs Chamber Music Competition and as a Special Award winner of the 2001-2002 Artists International Presentation Series. Her solo and chamber music performances have been broadcast on WQXR, the Hong Kong Radio Station, and the Shanghai Classical Music Television network. As co-founder of the New York International Artists Association, Ms. Tan acts as the Artistic Director of the organization. Ms. Wong holds Bachelors and Masters degrees from the Juilliard School, where she was a student of Dorothy Delay. Her musical range is expansive, performing chamber music to symphonies to cutting-edge contemporary. Appointed in 2002, Ms. Wong is the concertmaster of the Greater Bridgeport Symphony. She performs with the American Ballet Theater, New York City Opera, and Mostly Mozart Festival Orchestras. She has performed as a soloist with many orchestras and is a member of the Atlantic String Quartet and the Hawthorne Piano Trio. She has recorded for Deutsche Gramophone, Elysium, CRI, and New World Records, and with cellist Adam Grabois, has recorded duos on the Reflex Editions label.